It is no longer news, the entire nation is aware it is Paul Ryan and a Romney-Ryan ticket to challenge the incumbent Barack Obama, come November 2012. Since his selection as the Republican running-mate, the debates have been the kind of choice the change would bring to the Romney campaign since so far, and barely a week after the announcement, it is yet unclear if Ryan would deliver the kind of momentum Republicans need. Ryan is a fiscal conservative and for those unclear on what that means, it is simply “cut baby cut.” Fiscal conservatism is about finding ways to avoid deficit spending, the goal is to reduce overall government expenditure and national debt; and of paramount concern is to balance the budget by all means possible even if it means introducing harsh austerity measures. The likes of Ryan are about free trade deregulation of the economy, lower taxes and cut to welfare and other social services, which in their beliefs contribute to excessive government spending or “handouts” as they like to call it. But as good as it may sound since we all appreciate a government willing to reduce the public debt; it remains vague whether a Romney-Ryan economic model and fiscal policy is what Americans want at this time, considering the state of the economy. For decades, the mantle of fiscal conservatism has been claimed by Republicans and libertarian; in the mid 1994 elections, Republicans ran on a platform of fiscal responsibility spearheaded by Newt Gingrich; the plan was carried on until the Bush administration which obviously, was responsible for the largest government ever and a huge deficit inherited by the Obama administration. It is kind of weird to now think a Romney-Ryan fiscal plan will resonate to average Americans still trying to heal from a bad economy that has caused many to be unemployed. During the Clinton administration, the then Speaker of the House Newt Gingrich, pushed incessantly for a budget reduction and an aggressive cut in overall government spending; his move created a divide within the White House, which eventually led to the 1995-1996 government shutdown after the reelection of President Clinton. Therefore, it is no doubt that even if Ryan was able to sell his fiscal model to the American people, a Romney –Ryan win would cause a divide in both the Senate and the House of Representatives. The reason being that Democrats in both Houses and a significant percentage of the American people will disagree with the massive cut expected to accompany a Romney-Ryan fiscal plan. So far under the Ryan’s plan which has managed to pass the lower House, the IRS would tax the wealthiest Americans less while the poor will pay more in taxes; Medicaid is expected to be slashed by one-third and Social Security would be reduced to levels not seen since the great depression. To think such a move will help create the needed budget cut, remains a dream that may never be realized; because according to the Congressional Budget Office, “the Ryan plan would not balance the Federal budget for another 28-years”; the result is that Federal debt would continue to rise since the tax cut is expected to take effect immediately, while Medicare reduction is delayed till later. 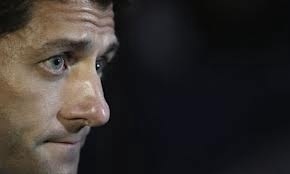 Based on the Washington News of August 14, 2012, “Ryan himself concedes that his plan would not balance the budget this decade, predicting it could be balanced by the “mid-to-early 2020s;” the question is why do we need a more aggressive fiscal policy and a budget cut, that will have no impact on the economy, until after he and Romney are out of the White House, at a time when there is high unemployment and serious economic issues? Ryan has indicated that “the key to economic growth is not balancing the budget but lowering tax rates;” economists on the other hand, have responded that while lowering the tax rates may help boost the economy, a balanced budget will require removing enough tax breaks in existence, to offset the new tax cut. As of this day, it is unclear what tax breaks Ryan intends to remove; there is still an ongoing war over ending the Bush era tax cut for the rich, a move by Democrats that could have created tax breaks for the poor and those making less that $250,000 a year but till now, Republicans are refusing to budge unless, the Bush era tax cut is extended to the wealthiest Americans as well. It seems the Romney-Ryan ticket is out of touch with mainstream America; it could be a crash course on budget-economic reality and make it easier for Obama to win reelection. So far, Republicans are beginning to think Romney has taken a huge risk by picking Ryan as his running-mate; and to some, such a ticket has a modest chance of winning and a huge chance of having the entire campaign go horribly wrong. Conservatives are beginning to think Romney has ceded the election with the Ryan pick, while some believe Ryan’s critical views on Medicare, may damage the chances of other Republican candidates in the race for both Houses meaning a sweep and a takeover of both the Senate and the House by the left. Romney is now gradually distancing himself from the Ryan budget plan, saying that he has his own budget plan in place; however, it remains how he can have it both ways and sell it to the public. It is impossible for Romney to embrace Ryan by picking him as his running-mate and then try to distance himself or his campaign from his fiscal policy. He may have a hard time convincing the American people that a Romney-Ryan economic plan is better than the Obama-Biden model of administration. I’m spanish, as you know, and won’t vote in november. But I’m so afraid! I’ve read Ryan budget plan… More taxes and lees social services for poor people, and less (or no) taxes for the rich ones. In XXI century I can’t believe it! Pure and cruel capitalism! What will happen with poor seriously ill persons? Will Ryan makes them pray… or die? You know as well I’m catholic, and can’t believe he’s catholic too. What will happen if here, in Spain and Europe, the conservative parties think Ryan’s plan will be their new objective? I don’t like Obama. My best candidate would be Hillary… But much better Obama than Romney-Ryan. Don’t you think? P.S. I haven’t talked about the wall Ryan wants to build over the line with Mexico… So terrible! No doubt you are right Javier, Ryan’s fiscal policy and budget plan if allowed through would be a killer. Nobody wants a bigger government that spends too much and puts the state in debt; but in a very bad economy, cuts to social services and healthcare is definitely not the right way to go. It will create more financial burden on working families with dependents and increase the cost of healthcare because when those people lack social services they may end up being sick and with no means to pay their hospital bills. The fact is the entire nation is hurting with many unemployed, the worst the government can do is to start cutting services so, I don’t think Ryan’s plan is good for the nation. I don’t expect Obama to do much if he is lucky to be reelected but compared to Romney-Ryan, he is sure better. As for the border issue, we sure have a not good immigration policy at this time, every move to do something is opposed by conservatives and obviously, the Senate knows how to fix the problems but for political reasons House members have failed to do so and then they call for a tighter border but with no political will to act. I hope the government in Europe don’t see this as a right policy to copy, Europe including Spain is in serious economic dilemma already it shows how capitalism may be failing and free enterprise in trouble.